On the 8th of December 2018 the leader of BLF, Andile Mngxitama, declared war on white people in South Africa. He associated white people with the actions of Johann Rupert and said that for every one black person that is killed they will kill 5 white people. Whether they are woman, children or animals. 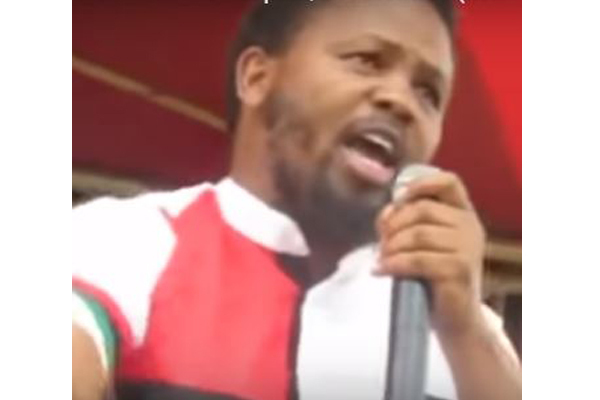 This is clear cut incitement to murder and Mngxitama should be arrested this week if the police is not too useless. Declaring war and inciting violence is terrorism. Let this video go viral. Let everyone see that white genocide and the calling for the slaughter of whites is not a myth. We want independence. We want self determination. Vote for your safety. Vote Front Nasionaal.